Essential oils are wonderful-smelling, natural oils derived from plant sources through distillation. Popular in many skin-care products, they can be potent allies in the war on aging. 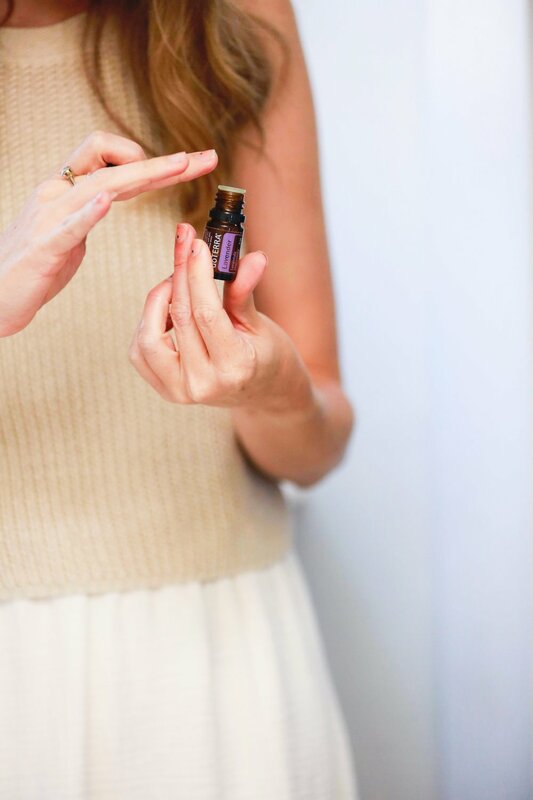 In fact, many essential oils have been scientifically proven to help repair free radical damage, reduce oxidative stress, reduce inflammation, and increase cell renewal. This means they are a perfect addition to a natural skincare routine. And with just a little effort, you can learn to incorporate your favorites into your own lotions, toners, and other cosmetics. If you want to use essential oils to tighten skin, you’ll want to choose the oils that have been studied in regard to skin care and aging. There are more than just these few, but this list is backed by scientific research, so you can be certain these oils work. To use any of these essential oils as a serum or moisturizer, dilute accordingly into your favorite “carrier” oil. A great oil to use for moisturizing and as a carrier oil is Jojoba oil, which is highly regarded as an anti-aging oil. You can also use sweet almond oil, apricot kernel oil, or even olive oil as the base for your serum. Just add drops of your essential oil to your carrier oil, mix, and store in a cool, dark place. In fact, it’s best to use dark-colored glass jars or bottles to keep light from degrading your serum. When you’re ready to use, simply dab a few drops of the oil mix onto your fingertips and pat lightly onto your face or body. Doing this after cleaning your face or taking a bath is especially effective, as your open pores will absorb the oils more readily. A toner is a great way to refresh your face after cleansing, before makeup application, or even in the middle of the day as a pick-me-up. You can make a refreshing toner by just blending a few drops of essential oil with purified water, or you can add apple cider vinegar or witch hazel (or both), for extra benefit. Apple cider vinegar can help balance the skin’s pH, and witch hazel has anti-oxidant and anti-inflammatory benefits. Decant your toner into a glass bottle with a spray attachment and keep it close at hand. Storing it in the refrigerator will make it cool and refreshing, which, as an added benefit, can help relieve puffiness. Your skin is delicate, and even though essential oils are natural, that doesn’t mean there aren’t safety considerations. You’ll want to follow a few simple rules to ensure you don’t irritate your skin. Never use undiluted essential oil. Be careful with menthol-containing oils like peppermint, eucalyptus, and rosemary as they can burn or cause respiratory distress. Keep away from eyes, nose, and other mucous membranes. Always apply a little to your skin in a small area to test for sensitivity. In addition, a few oils are associated with phototoxicity – that is, they can burn the skin when they interact with UV light. Below are some of the most commonly used ones, along with the number of drops per ounce recommended if you might be exposed to the sun. They’re safe to use with an inhaler, or when washed off or covered by clothes before sun exposure. However, if you’re going to apply these to your skin, make sure you avoid contact with the sun or use a more dilute formula, as recommended, above. Remember, it’s always best to use these oils, and others like them, at night when you can be sure you’ll not be getting direct sun exposure. Now that you have a good understanding of how essential oils can fit into your beauty and anti-aging skin care routine, all that remains is to have fun adding these sweet-smelling age-busters into your daily beauty regimen.